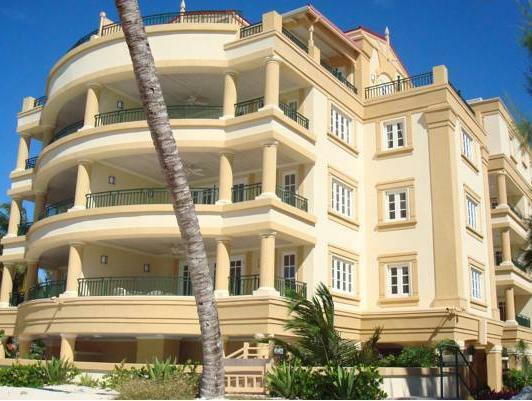 ﻿ Best Price on White Sands Beach Condos in Christ Church + Reviews! White Sands Barbados is located on a beautiful secluded beach in Christ Church’s happening St. Lawrence Gap and features excellent ocean views, free Wi-Fi throughout and an outdoor swimming pool. Each spacious, air-conditioned apartment at this property comes with a fully equipped kitchen, balcony with sea views and a comfortable seating area. They also offer a cable TV and a spacious wardrobe. Guests can find a host of dining options within 0.6 mi of the property, including an Italian restaurant only 820 feet away. The area also features several bars and nightclubs. There is a golf course located only 2.3 mi from the property, and the property can help guests arrange outdoor activities like snorkeling, diving and fishing. Sheraton Shopping Center is a 10-minute drive from the property, and Grantley Adams International Airport is 6.2 mi away. The guest will be charged a prepayment of the total price anytime; the deposit is refundable in full less 3% admin fee if booking is canceled more than 30 days prior to arrival. Kindly note that the additional Government tax applies per bedroom per night.